Love classic ribs and more? 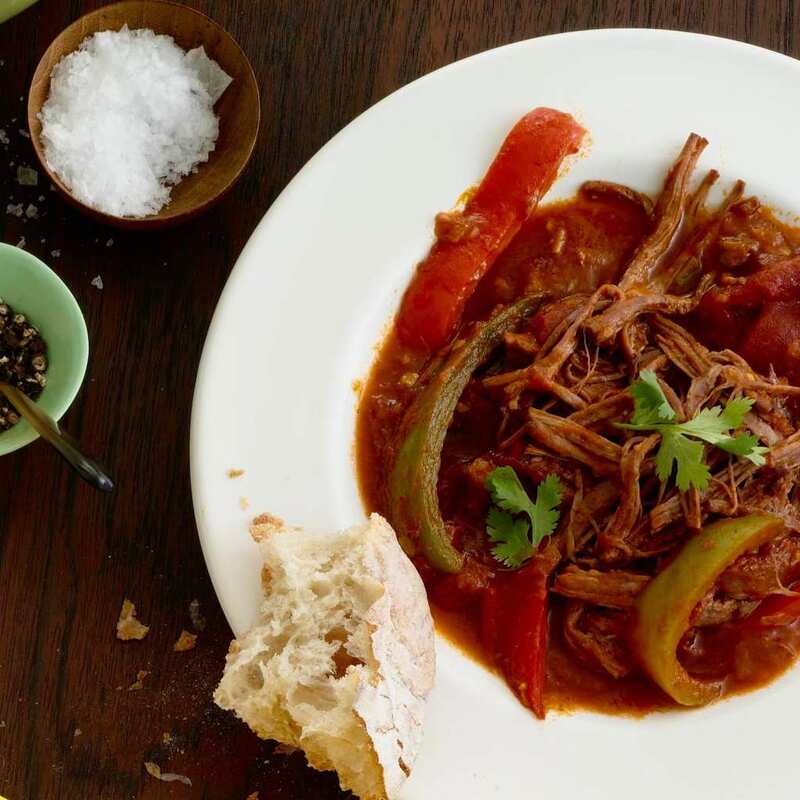 Sign up for the Tara Teaspoon newsletter and exclusive mini cookbook here! Classic ribs, a summertime staple. You think ribs take all day and lots of tending. Not these! Tenderize these lip-smacking ribs in the oven, then grill them to perfection. Ribs with just three ingredients? You got it! Honestly you have never made such delicious, simple, classic ribs until you’ve made these. 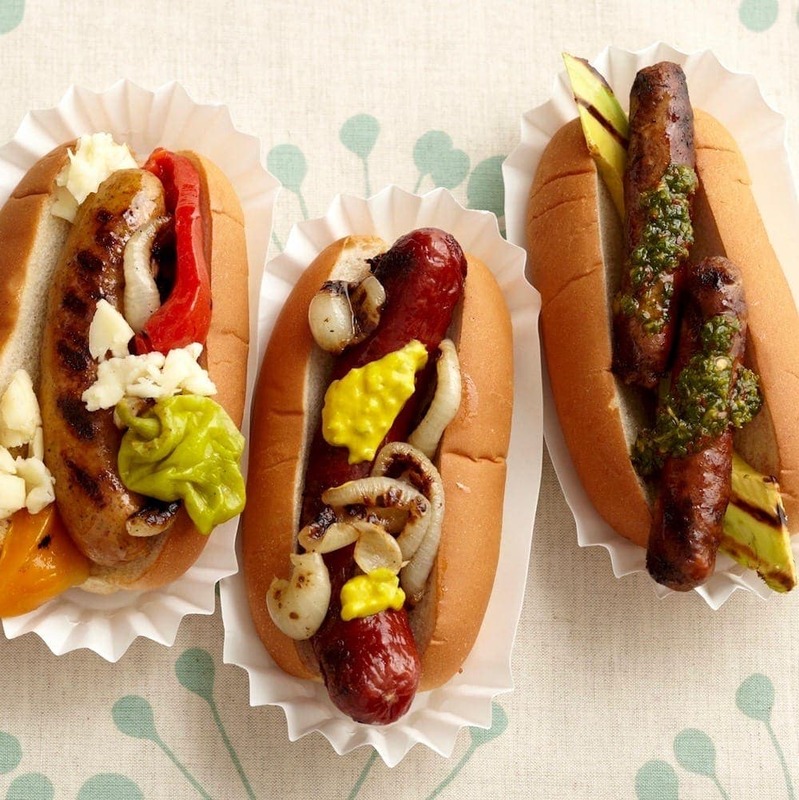 The secret: I start them in the oven and finish them on the grill. 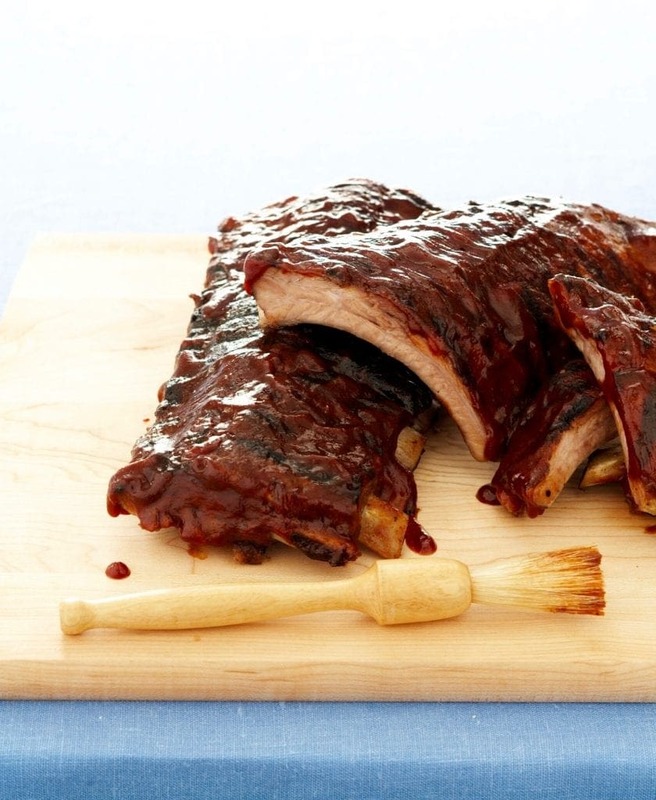 All you need are a few racks of baby back ribs (a few because oh my these go fast! ), some kosher salt (I like the mild flavor for meats) and good ol’ BBQ sauce (your choice here, your favorite bottle or homemade). Ohh you’re afraid they won’t have the smoky flavor from the grill? Ah but they do. The last few minutes of the process they lavish in the char and smoke of the grill. In fact, it’s that little blast of smoke that you taste right as they hit your mouth. They are also more tender than if you slaved for hours tending them on the grill. I simply wrap my salted ribs in foil packets, place them on a baking sheet (if you are making a lot you can even stack the packets on top of each other. Just give them a little longer in the oven). Cook those babies for about an hour and a half and they’ll be as tender as ever. Brush them with BBQ sauce (they will absorb some of the tangy flavor right out of the oven) then blast them on the grill. I only do a light brushing of BBQ sauce when they come out of the oven. More would cause burning on the grill, but a little helps the outsides to caramelize a bit. 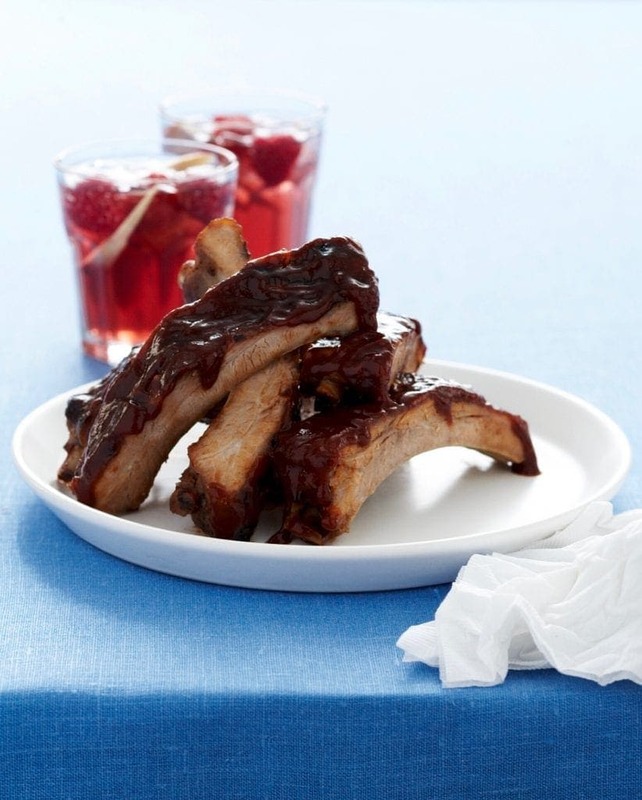 Once these classic ribs are off the grill, really soak them with sauce and pull out the napkins! Three ingredients, a little time, and the result is a perfectly cooked and delicious rack of ribs! Heat oven to 400ºF and place rack in lower third. 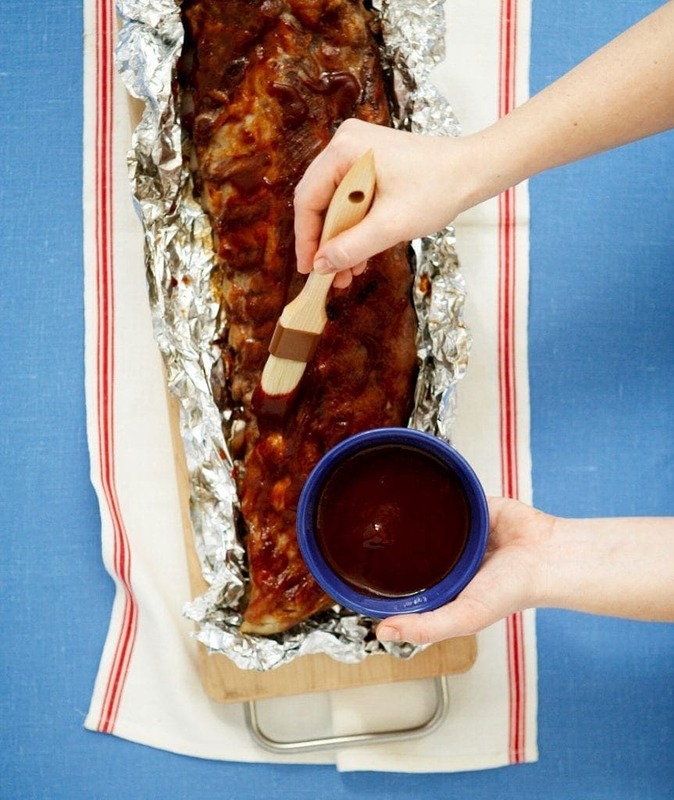 Place each rack of ribs on a sheet of heavy-duty (or double layer) foil large enough to wrap around ribs. Sprinkle with salt and wrap in foil, making an air tight seal. Transfer to a rimmed baking sheet and roast 1 hr 30 min. Heat grill to medium high. 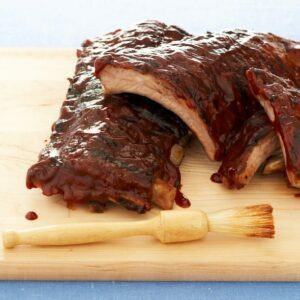 Lightly brush ribs with some barbecue sauce, remove foil and grill, turning once, until grill-marked and golden brown, 8 to 10 min. 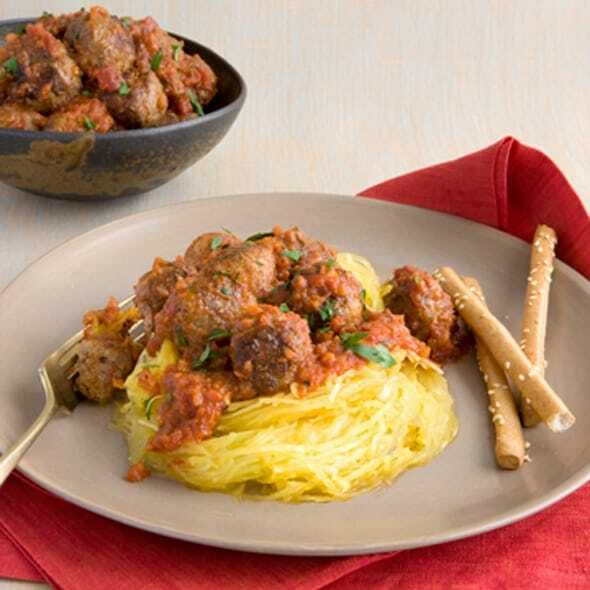 Generously brush with remaining sauce, slice and serve. You can bake several racks at a time and be prepared for a crowd. For dessert you’ll want to try my Black Bottom Cream Pie, it is a scrumptious ending to any meal! If you need a sweet treat the kids can run around with, Pecan Crispies are your go-to summer cookie. All the delicious taste, but no chocolate to melt in the summer sun. 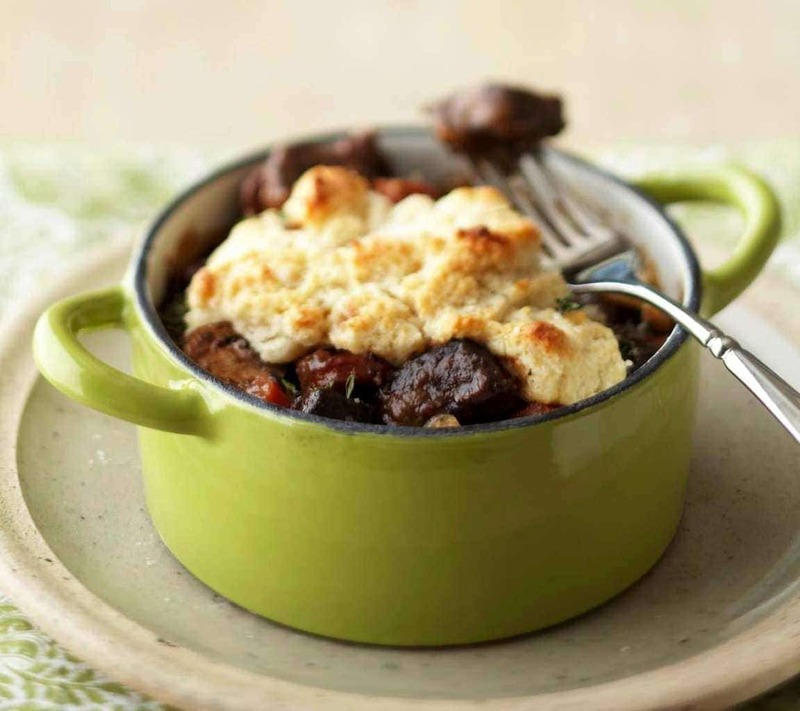 Check Out More Of My Beef Recipes! This is our go-to rib recipe! So easy! Tenderize those ribs in the oven and then put on the grill!